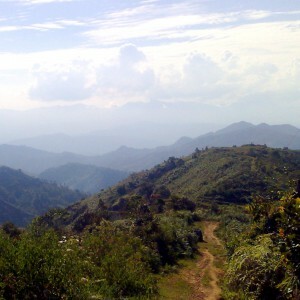 Myanmar, formerly known as Burma, is an unusual coffee origin. Sweet Maria’s, my supplier for this one, likes to pick up unusual origins, but note that they have not offered a coffee from Myanmar since perhaps 2000. Drinking single origin coffees can be a little bit like birdwatching. Bragging rights count for something—oh, yes, I’ve had coffee from Myanmar…! A green herbal and roasted barley aromatics accent sweet flavors of honey wheat cereal and malt syrup, and flavor elements of squash and pumpkin cooked with brown sugar and butter. City+ to Full City. I am generally reluctant to get into flavor comparisons of the squash/pumpkin sort. Good coffee should first and foremost taste like coffee, which I would say is basically a combination of first, bitterness, then a generally caramel sweetness, and lesser components, which can be described generally as nutty, chocolate-y, fruity, floral. This particular coffee does not to my mind particularly stand out on any of those characteristics, though sweetness is probably the thing that most easily comes to mind. At the end, once cool, chocolate becomes predominant. Overall, quite a pleasant drink. As far as production and processing, this coffee is grown by smallholders, by small, an individual farmer will likely be producing less than 10-130lb bags. The coffee is gathered and processed at a wet mill, which is the more modern method of preparing coffee and tends to produce a cleaner cup with less defects and rustic flavors. (note: defects, in many cases are an essential element of the flavor of dry processed coffees, particularly) This is a relatively low grown coffee 3000-5000 ft. Categories Blog, Coffee of the Week - What we are roasting and shipping right now. This is a nice solid Rwandan coffee. As is typical of this origin it isn’t outrageous in any way, just a nice solid every morning coffee. Karenge is a region in eastern Rwanda. Coffee Villages is the name of the milling station where the raw coffee beans are processed. These are often named after the nearest town, but in this case that name was taken. I am particularly fond of Rwandan coffees. They are fairly predictable, and have both a solid balance of qualities and enough difference to distinguish them. This Karenge is typical, in that it has a lot of solid coffee taste, while having enough brightness not to be in any way dull. You may notice some citrus fruit flavor here. This is definitely not an acidic coffee. Rwandas may not often be sensational, but they definitely grow on you. 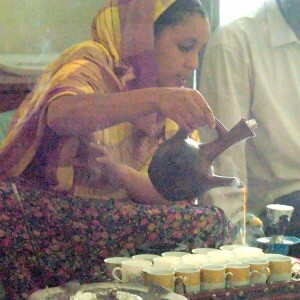 While I am definitely a fan of the other more outspoken East African origins, in particular, Ethiopia and Yemen, some of my very favorites, all time, have been Rwandans. First, there’s a lot of other coffee in the world, so no one’s likely to have to go without. But we’d like you to be able to drink fresh Hayes Home Roast with as little interruption as possible. The best way to never run out is to get an extra pack, and stick it in the freezer unopened, so as to avoid picking up taints. Freezer coffee is comparable to real fresh coffee, but has a significantly shorter open freshness period, closer to a week than to two. When you go to use it, it’s not a bad idea to let it warm to room temperature before you open the pouch, though this may be unnecessary nuance. Or you can just open the bag and go! You should probably rotate it for a new one every month or two, though the coffee will in all likelihood be acceptable even after that. If you find yourself more than two packs ahead, let me know, and we can make an adjustment. I’m a believer in not putting things in the way of the simple enjoyment of coffee. You may lose as much enjoyment by feeling you’re not living up to some exacting requirement as you might from the actual degradation of the coffee. If you derive enjoyment from the ritual and fussiness, that’s okay, too. The main thing I’ve noticed is that the difference in result when starting with superior quality fresh coffee leaves a lot of room for a better than average coffee experience, even if you don’t follow all the rules religiously! Bali is one of the Indonesian islands, and, while not the most well known for its coffee production, has had coffee under cultivation for roughly 300 years. 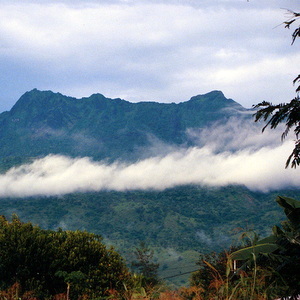 The Kintamani region was basically put out of business about 50 years ago by a volcanic eruption, but has since built back up. This is a middle of the road Indonesian in the cup, not too earthy and not as bright as some of the newer coffees coming out of this origin. How could I resist trying a coffee from a place called Bone Bone Village? They say “bo-nay bo-nay”, but still. Thick bodied and sweet, with what’s referred to as complex rustic flavors. It doesn’t hurt with this sort of coffee preparation to check for discolored beans and remove them. This East Timor coffee comes from two villages, Lauana and Eraulu. 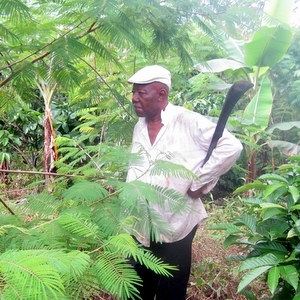 Each has a farmer’s cooperative, and together represent approximately 100 small farms. This coffee is a washed, wet process coffee, which accentuates the sweet and fruity characteristics of the bean. producing a sweet and fruited cup. Timor coffee is actually an unusual hybrid of arabica and robusta. It possesses the disease resistance of its robusta ancestor, an important feature in the present days of rampant coffee rust, whike having flavors more like arabica. First impressions of this lot—fruity, sweet, and clean. This coffee is a blend of coffees from forty different farmers with small holdings in and around the small town of Cacolotepec in Oaxaca, in southern Mexico. 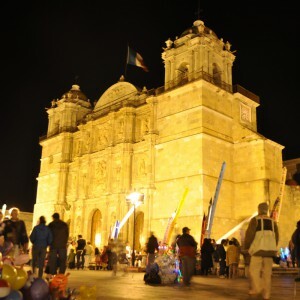 Oaxaca has a robust agricultural sector, of which coffee is only a part. 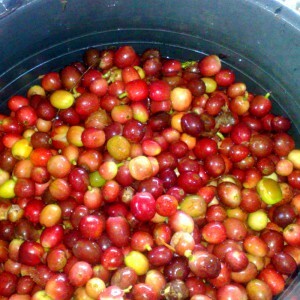 The La Lagunilla Cooperative is recently formed and handles the latter stages of the coffee milling and the marketing. This is a wet process, organic certified coffee. While brighter than the Cameroon Mifi Longberry which I ordered at the same time, this is also a sweet and bodied coffee with emphasized notes of coffee, nuts, and dark sugar. One of the terms that Sweet Maria’s uses to describe this coffee is “coffee-like”. Again, another venture into finding a mild, balanced coffee without particular extremes. And I will have more to say when it arrives and I can roast a sample. This is definitely a nutty coffee, at the same time fairly bright. I would not call it fruity or floral in any way. Hazelnuts come to mind. Quite distinctly sweet. This is an unusual origin, and not often seen. I, personally, have never had a Cameroonian coffee. 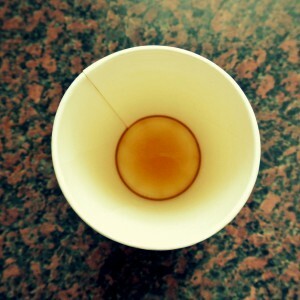 It’s another of my selections exploring mild, daily drinking coffees. Sweet Maria’s description notes this is a low acid cup with noticeable body and sweetness. I’m presently still waiting arrival of this shipment, and will let you know more about it once I have it in hand and can roast up a sample. This page was set up initially to help me keep track of what I have, and will be, roasting, but I realized that it might be interesting and even perhaps useful for visitors to the site. The “Coffees of the Future” are subject to change! The links go to descriptions of the coffees.